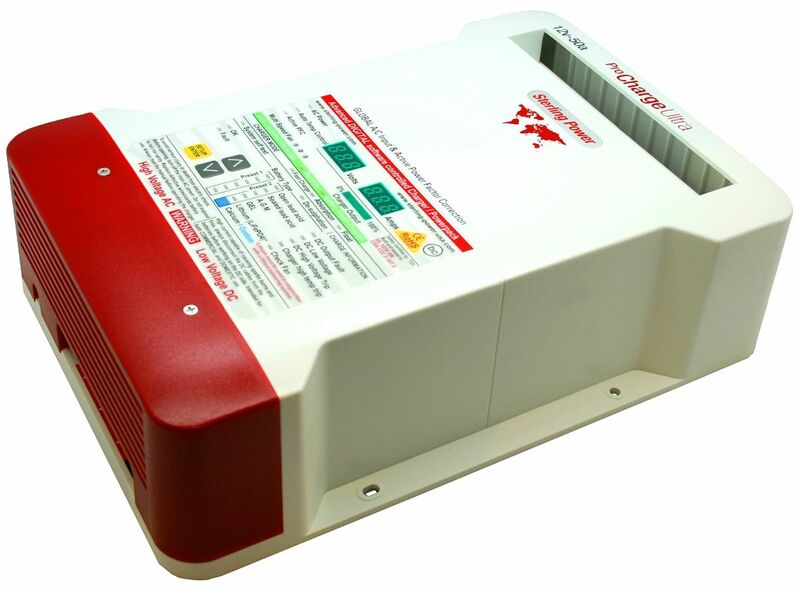 The Pro Charge Ultra range of battery chargers are among the worlds most efficient chargers, thanks to 'active power factor correction'. This feature means they are rated over 90% efficient compared to 65% on chargers without. These award winning chargers feature a 32 LED front panel showing charging profile statuses and output power as well as providing the user with a voltmeter and ammeter. 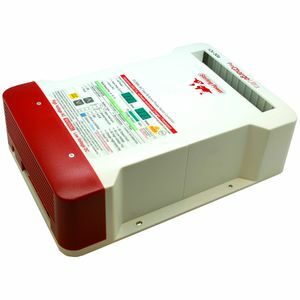 There are 11 pre-programmed charging profiles for calcium, sealed/flooded, Gel and AGM batteries. Users are also able to customise the programme to have their own tailor made profile. Batteries are kept rejuvenated as the Pro Charge Ultras include an automatic desulphation mode. The Sterling Power Pro Charge Ultra Chargers are fitted to more new boats than any other charger in the world. They have been UL 1236 SB listed which is the highest build standard and include a temperature compensation sensor for maximum reliability and safety.